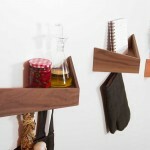 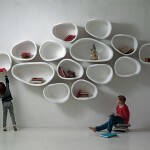 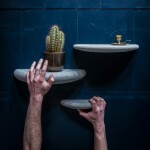 ChopValue, a Canadian design company, have created Recycled Chopstick Honeycomb Shelves. 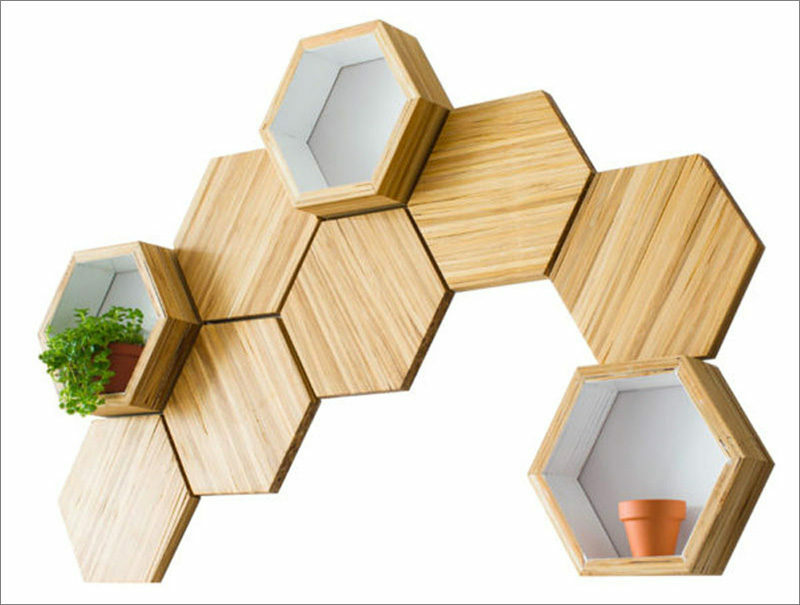 The shelves and tiles are made out of recycled bamboo chopsticks collected from various Asian restaurants in the Vancouver area. 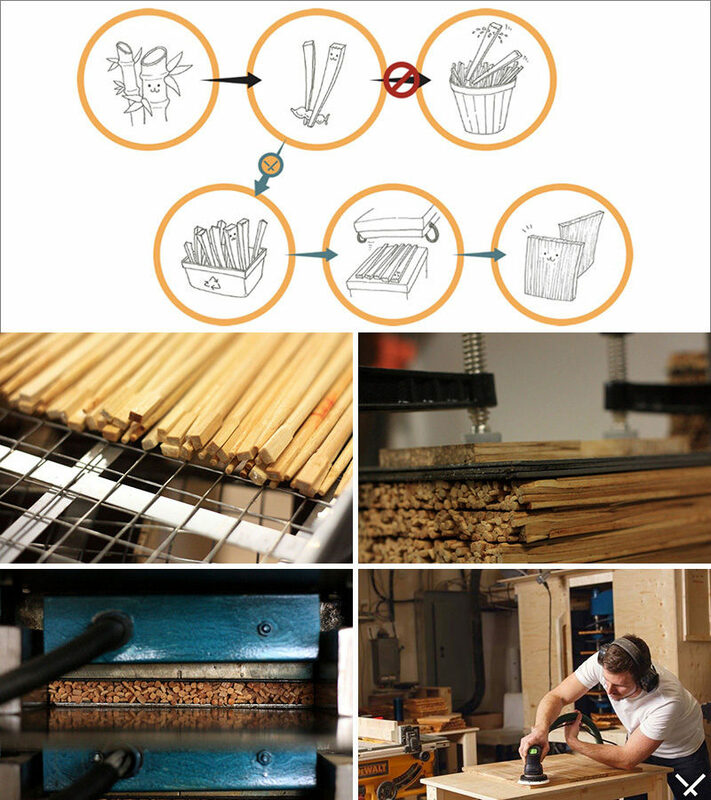 Once cleaned, the chopsticks are compressed, laminated and sanded down to create the honeycomb designs. 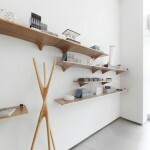 The tiles and shelves are smooth and light in color, with the edges and sides exposing the laminated chopsticks. 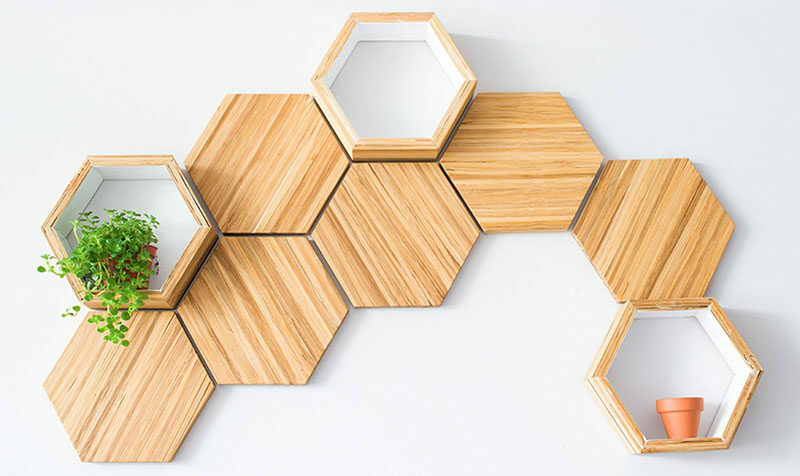 One tile can use up to 300 chopsticks. 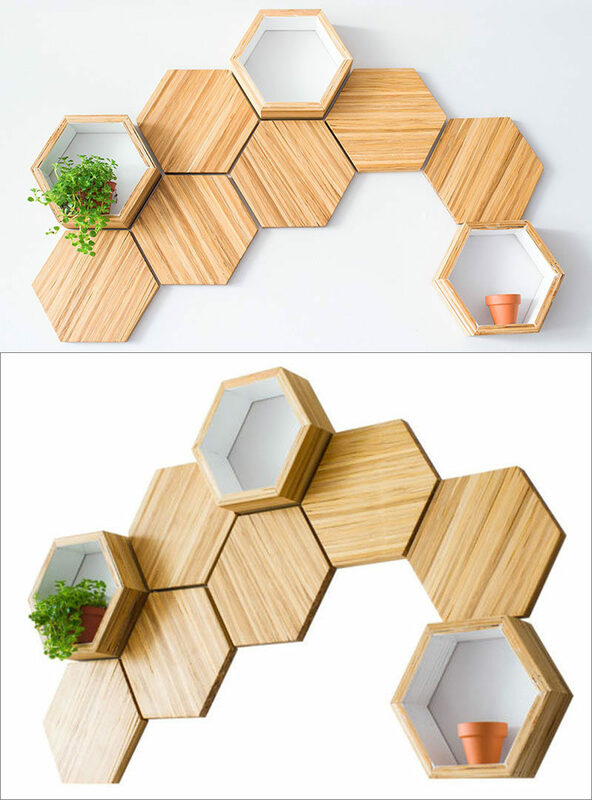 The hexagonal shelves and tiles (available as starter kits or individually), have a double sided tape for adhesion, can be arranged and displayed in any pattern.